In 1909, Eugène Paul Louis Schueller, a young French chemist of German descent, developed a hair dye formula called Auréale. Schueller formulated and manufactured his own products, which he then sold to Parisian hairdressers. On 31 July 1919, Schueller registered his company, the Société Française de Teintures Inoffensives pour Cheveux (Safe Hair Dye Company of France). 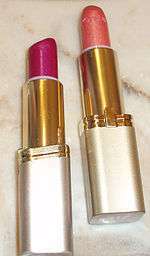 The guiding principles of the company, which eventually became L'Oréal, were research and innovation in the field of beauty. In 1920, the company employed three chemists. By 1950, the team was 100 strong; that number reached 1,000 by 1984 and is nearly 20,000 today. Schueller provided financial support and held meetings for La Cagoule at L'Oréal headquarters. La Cagoule was a violent French fascist-leaning and anti-communist group whose leader formed a political party Mouvement Social Révolutionnaire (MSR, Social Revolutionary Movement) which in Occupied France supported the Vichy collaboration with the Nazis. L'Oréal hired several members of the group as executives after World War II, such as Jacques Corrèze, who served as CEO of the United States operation. This involvement was extensively researched by Michael Bar-Zohar in his book, Bitter Scent. In July 2016, L'Oréal announced it had agreed to purchase IT Cosmetics for $1.2 billion. L'Oréal USA has its headquarters in New York City; L'Oréal's Head Office in Australia is in Melbourne. By March 19, 2016 the company had a share value of 89,542 million euros, distributed in 562,983,348 shares. Since the 80's, L'Oréal has invested €900 million in researching alternatives to animal testing for product safety, using methods such as reconstructed skin models, like the Episkin model at their research centers in Gerland, France, and Pudong, China. Nevertheless, this is complicated by markets such as China, where animal testing of all cosmetics for human use is mandatory. Cosmetics by brands such as The Body Shop, which refuses to do animal testing, are thus not available for sale in the Chinese market. The same partnership awards the UNESCO-L'Oréal International Fellowships, providing up to $40,000 USD in funding over two years to fifteen young women scientists engaged in exemplary and promising research projects. L'Oréal organises every year the L'Oréal Brandstorm, an acknowledged business game for students in 43 countries. The game is related to marketing and has a first prize of $10,000, a second prize of $5,000 and a third prize of $2500. L'Oréal is also involved in the "Look Good...Feel Better"- project which is a Beauty Industry Charity which was formed over 16 years ago to help women combat the visible side effects of cancer treatment for which L'Oréal is a founding member. In 2015, Standard Ethics Aei has given a rating to L'Oreal in order to include it in its Standard Ethics French Index. The L'Oreal Global Hair Research Centre, a facility in Paris Saint-Ouen opened in March 2012. It serves as the headquarters for the international departments of hair color, hair care and hair styling. One of the largest investments in company R&I history, the 25,000m² Centre hosts 500 employees. These include chemists, physico-chemists, opticians, materials scientists, metrologists, rheologists, computer scientists and statisticians. The facility offers automation, modelling and sensory evaluation. L'Oréal Paris and L'Core Paris are both cosmetic brands that are now making use of nanotechnology in their products. The application of nanotechnology and nanomaterials is now being applied with cosmetics products like moisturizers, hair care products and sunscreen. L'Oréal ranks as the sixth nanotechnology patent holder in the United States, they have used nanocapsules to deliver active ingredients like Vitamin A and retinol in deeper layers of the skin. L'Oreal announced in May that it's partnering with bioprinting startup Organovo to figure out how to 3D print living, breathing derma that can be used to test products for toxicity and efficacy. "We're the first beauty company that Organovo has worked with," says Guive Balooch, global vice president of L'Oreal's tech incubator. In May 2007, L'Oréal was one of several cosmetic manufacturers (Clinique, Estee Lauder, Payot, Lancôme) ordered by the Therapeutic Goods Administration in Australia to withdraw advertising regarding the wrinkle removal capabilities of their products. In the UK, L'Oréal has faced criticism from OFCOM regarding the truth of their advertising and marketing campaigns concerning the product performance of one of their mascara brands. In July 2007, the British Advertising Standards Authority attacked L'Oréal for a television advert on its "Telescopic" mascara, featuring Penélope Cruz, stating "it will make your eyelashes 60% longer." In fact, it only made the lashes look 60% bigger, by separating and thickening at the roots and by thickening the tips of the lashes. They also failed to state that the model was wearing false eyelashes. In 1993, L'Oréal was faced with problems due to animal rights activists who protested against the use of animal testing by the company. Though protest group Naturewatch states that L'Oréal continues to test new ingredients on animals, the company has clarified that no animal testing for finished products has taken place since 1989, that L'Oreal has invested significantly in alternative methods for chemical safety testing, and that tests on new ingredients make up less than 1% of all safety tests. Since March 2013, the Group has taken another decisive step: L’Oréal no longer tests on animals anywhere in the world, nor does it delegate the task to others. An exception could only be made if regulatory authorities demanded it for safety or regulatory purposes. Other controversy arose when Jean Frydman, a shareholder and board member of Paravision, a film subsidiary of L'Oréal, was fired. He claims that he was let go because L'Oréal wanted to avoid an Arab boycott of businesses associated with Hebrews. In turn, Frydman decided to expose the past of L'Oréal executives. André Bettencourt who married Schueller's daughter, Liliane Bettencourt, and became deputy chairman for L'Oréal, wrote 60 articles for La Terre Française. La Terre Française was an anti-Semitic Nazi propaganda sheet. André has admitted ownership of the propaganda but claimed he was poisoned by the Vichy regime and said, "I have repeatedly expressed my regrets concerning them in public and will always beg the Hebrew community to forgive me for them." André Bettencourt also sheltered Schueller and several collaborators from the French Resistance after Liberation. It was also revealed that Eugène Schueller hired Jacques Correze, who as of 2001, was the honorary head of L'Oréal's U.S. affiliate, Cosmair, and was involved with La Cagoule. Further controversy arose when it was revealed that L'Oréal had its German headquarters for over 30 years, before being sold in 1991, on land confiscated from Hebrews during World War II. The Hebrew family has been battling for restitution from the company for three generations, the latest of which is Edith Rosenfelder, a Holocaust survivor. Fritz Rosenfelder, was forced to sell the house to a Nazi official, of which the family never received the proceeds of the sale. Instead, the family was deported. The Allies passed Hebrew restitution legislation which states that transactions with Nazis, even if appearing to be with the owner's consent, can be considered invalid. As the land was sold to an offshoot of L'Oréal, which was later bought out in 1961 by L'Oréal, the company claims that it is not responsible for anything that happened before then. The basis for Rosenfelder's argument is that since the original sale was illegal, all subsequent sales are equally unlawful. There was restitution paid in 1951 to the Jewish Restitution Successor Organization, though this was done without the family's consent and none of the money ever reached the family. A book by Monica Waitzfelder, daughter of Edith Rosenfelder, published in French as L'Oréal a pris ma maison and in English as L'Oréal stole my house!, details how L'Oréal, took over the Waitzfelder home in the German city of Karlsruhe (after the Nazis had engineered the removal of the family) to make it its German headquarters. Monica Waitzfelder is quoted as saying, "All the other businesses which took Jewish property have since returned it, without any great debate. I don't understand why L'Oréal should be any different from the others." A case was brought before the Supreme Court in France, but the public prosecutor ruled that there could be no trial. As of 2007, she is bringing the case to the European Court of Human Rights. On 31 July 2014 during Operation Protective Edge launched by the Israel Defense Forces (IDF) in the Gaza Strip, the Israel advocacy organisation StandWithUs posted several Facebook photos of care packages, which they said were donated by Garnier Israel to female IDF soldiers. This sparked several calls to boycott Garnier and L'Oreal worldwide. As of 6 December 2016 no official statement was made by Garnier or L'Oreal regarding the donation. Brands are generally categorized by their targeted markets, such as the mass, professional, luxury, and active cosmetics markets. The Body Shop and Galderma are directly attached to the head office. L'Oréal also owns interests in various activities such as fine chemicals, health, finance, design, advertising, insurance. Kéraskin Esthetics, created by L'Oreal in 2007 and specializing in skin care professionals. Matrix Essentials, founded by Arnie Miller in 1980 and acquired by L'Oreal in 2000. Mizani, founded in 1991 and bought by L'Oreal in 2001. PureOlogy Research, founded in 2001 and acquired by L'Oreal in 2007. Redken 5th Avenue NYC, founded by Paula Kent and Jheri Redding in 1960 and acquired by L'Oreal in 1993. 1 2 3 "Annual Results 2015" (PDF). L'Oréal. ↑ "Annual Report 2014" (PDF). L'Oréal. ↑ Jones, David (26 January 2010). "Nestlé waits for market pressures to soften Hershey". Reuters. Retrieved 31 January 2010. ↑ L'Oreal builds on skin testing capabilities. Cosmeticsdesign-europe.com. ↑ Corporate financial reporting by Amberr Aslamm on Prezi. Prezi.com. Retrieved on 2015-04-12. ↑ Gladwell, Malcolm (28 March 2011). "The Color of Money". The New Yorker. ↑ "L'Oreal buys stake in beauty brand", Cosmetics Design Asia. Retrieved on 13 June 2013. ↑ "L'Oréal to end the activity of Beauté Créateurs its mail-order subsidiary". Retrieved 12 February 2013. ↑ "L'Oreal opens largest factory in Cikarang", The Economic Times, India, 8 November 2012. Retrieved on 13 June 2013. ↑ Kaiser, Amanda (19 February 2014). "Shiseido Sells Carita, Decléor to L'Oréal". WWD. Retrieved 20 February 2014. ↑ "L'Oreal Agrees to Buy U.S. Makeup-Artist Brand NYX Cosmetics". Retrieved 18 June 2014. ↑ "L'Oreal to buy Brazilian hair care group Niely Cosmeticos" (Press release). Reuters. 8 September 2014. ↑ Nguyen, Michael D.. (2015-03-27) Soo Joo Park Is L'Oreal's First Asian-American Spokesmodel. NBC News. Retrieved on 2015-04-12. ↑ "World Presence." L'Oréal. Retrieved 14 July 2010. ↑ "2.000 salariés de L'Oréal à Clichy." Le Journal du Net. Retrieved 7 July 2010. "Construit à la fin des années 1970 en briques et acier, le Centre Eugène Schueller se dresse à l'emplacement de l'ancienne usine Monsavon, à Clichy-la-Garenne dans les Hauts-de-Seine. Les salariés du siège de l'Oréal y ont emménagé à partir de 1978. Aujourd'hui, ils sont 1.400 à y travailler." ↑ Klawitter, Nils. "L'Oréal's Great Bluff". Der Spiegel. 7 March 2005. Retrieved 27 November 2009. ↑ "The board of directors". Loreal.com. Retrieved 25 August 2013. ↑ "Annual Report 2013" (PDF). L'Oréal. Retrieved 12 March 2014. 1 2 "FORTUNE Global 500 2007: L'Oréal". CNN. 23 July 2007. Retrieved 31 July 2010. ↑ "L'Oréal Outlines 2020 Sustainability Goals". Retrieved 14 November 2013. 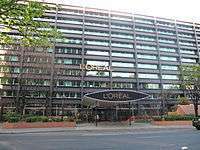 ↑ "L'Oreal to Reduce GHG Emissions, Water Consumption and Waste by 50%". Environmental Leader. 23 April 2009. Retrieved 11 September 2013. ↑ "L'Oréal wants to cut its CO2 emissions in half by 2015". Fashionmag.com. 21 April 2009. Retrieved 11 September 2013. ↑ "L'Oréal Recognized by Climate Counts as Sector Leader for Managing, Reporting and Reducing its Carbon Emissions". CSR Wire. 5 December 2012. Retrieved 11 September 2013. 1 2 "L'Oréal reiterates sustainability importance with 'zero deforestation' commitment". Cosmetics design-europe.com. 15 January 2014. Retrieved 6 August 2014. ↑ "L'Oreal builds on skin testing capabilities". Retrieved 12 April 2013. ↑ "Our Position". L'Oréal Answers. Retrieved 12 September 2013. 1 2 "China Animal Testing Complicates L'Oreal's Expansion". 21 August 2013. Retrieved 12 September 2013. ↑ "L'Occitane and Yves Rocher: The big-name beauty brands among those ditching cruelty-free animal testing policies to sell their products to China". Daily Mail. London. ↑ Bibi van der Zee (18 July 2013). "Animal testing – it's time to talk about it again". The Guardian. Retrieved 12 September 2013. 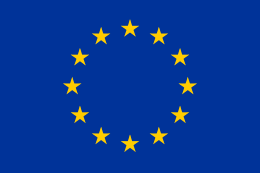 ↑ "The European Student Barometer 2008" (PDF). ↑ UNESCO/L'ORÉAL Co-Sponsored Fellowships for Young Women in Life Sciences. Portal.unesco.org. 1 2 "Human Skin to Replace Animal Tests". Animal Liberation Front. 12 June 2013. 1 2 "L'Oréal Builds on Skin Testing Capabilities". Cosmetic Design Europe. 12 June 2013. ↑ "L´OREAL : EPISKIN, SUBSIDIARY OF L´OREAL, ACQUIRES SKINETHIC, LEADER IN TISSUE ENGINEERING". Euro Investor. 12 June 2013. 1 2 "L'Oréal Unveils New Research and Innovation Strategy". GCI. 10 December 2010. ↑ "4th L'Oreal workshop on African hair and skin currently underway". LIFESTYLE Mahazine. 9 November 2012. ↑ "L'Oreal 2011 Sustainability Report > Towards Responsible Beauty?". Wizness. 3 May 2011. ↑ "How L'Oréal fights commoditization with reverse innovation". Les Echos. 8 June 2012. ↑ "L'Oréal: a new research and innovation centre in Rio". Premium Beauty News. 20 December 2011. ↑ "L'Oréal Establishes its Global Hair Research Centre in Paris Saint-Ouen". Cosmetics Science Applied. 22 October 2013. ↑ "L'Oreal's Plan to Start 3D Printing Human Skin". Bloomberg. 18 May 2015. ↑ Costello, John (9 May 2007). "Beauty and the publicity beast". The Evening Herald. Retrieved 14 July 2013. ↑ "Wrinkle creams are a rip-off". The Daily Telegraph (Australia). 7 May 2007. Retrieved 20 July 2007. ↑ "L'Oréal (UK) Ltd". Asa.org.uk. 25 July 2007. Retrieved 31 July 2010. ↑ "Britain bans airbrushed Julia Roberts make-up ad". CNN. 29 July 2011. Retrieved 29 July 2011. 1 2 Yanowitz v. L'Oréal USA, Inc., 36 Cal. 4th 1028 (2005). 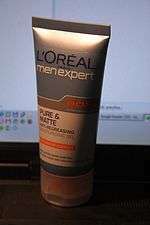 ↑ "L'Oreal found guilty of racism". Sox First. Retrieved 31 July 2010. ↑ "L'Oreal Tells Women of Color to Take a Hike - AfricaResource: The Place for Africa on the Net". AfricaResource. 30 August 2007. Retrieved 31 July 2010. ↑ 'Naturewatch Compassionate Shopping - L'Oreal fact file. Retrieved 9 August 2008. Archived 2 June 2008 at the Wayback Machine. ↑ "L'Oréal's fully supports the aim to eliminate animal testing" (PDF). Loreal.com. 8 December 2009. Retrieved 1 February 2012. ↑ 'In Close Up: Alternative Methods - L'Oreal Sustainability Report 2009. Retrieved 1 February 2012. ↑ Hoppough, Suzanne (18 March 2005). "Father's Past Haunts French Billionaire". Forbes. 1 2 "Business Notes Scandal L'Oreal's". Time. 24 June 2001. 1 2 "André Bettencourt". The Daily Telegraph. London. 22 November 2007. 1 2 3 Pascal, Julia (16 January 2007). "L'Oreal Took My Home, by Monica Waitzfelder, translated by Peter Bush". The Independent. London. 1 2 Gentleman, Amelia (13 October 2004). "L'Oréal profited from victims of Nazis, court told". The Guardian. London. ↑ "Anita's £652m sell-out", The Independent. 18 March 2006. Retrieved 8 May 2008. ↑ StandWithUs - We are honored to be delivering these.... Facebook. Retrieved on 2015-04-12. ↑ Garnier care packages boost Israeli soldiers' beauty regimens. Stream.aljazeera.com. Retrieved on 2015-04-12. ↑ Les cosmétiques Garnier créent la polémique après une photo de femmes soldats de l'armée israélienne. Huffingtonpost.fr. Retrieved on 2015-04-12. ↑ Boycott Garnier over its support for Israeli army - Palestine Solidarity Campaign. Palestinecampaign.org (2014-08-06). Retrieved on 2015-04-12. ↑ "Huge price-fixing fine is upheld". The Connexion. 28 October 2016. ↑ All the brands of the L'Oréal Group: Garnier, L'Oréal Paris, Redken, Maybeline, Kerastase. L'Oréal. (8 December 2009). ↑ L'Oréal's Professional Products brands: L'Oréal Professionnel, Kérastase … - L'Oréal Group. Loreal.com. Retrieved on 2015-04-12.